WINTERTON GROVE is located at the beginning of Winter Ave, just off Kings Bridge Road. It includes a 9 lot cul-de-sac, Judge Place and 4 lots on Winter Avenue. This is another Design Build project of Paul Murphy Contracting. Featuring our HOMES OF DISTINCTION Series of custom designed homes. We provide Turnkey homes only. Judge Place features oversized city lots ranging from 7000 sq ft to over 13,000 sq ft. Covenants and minimum home sizes requirements are in place to ensure compatibility and consistency within the development. No vinyl siding is permitted. As of January 2017, all Judge Place lots have been built on. 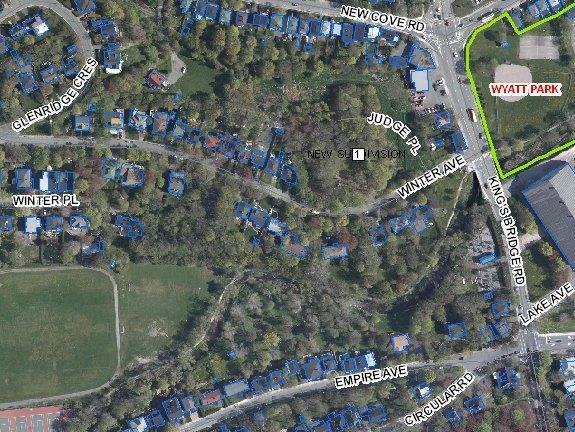 However we still have 2 Winter Ave lots available. Call me for full details on this PAUL MURPHY development.